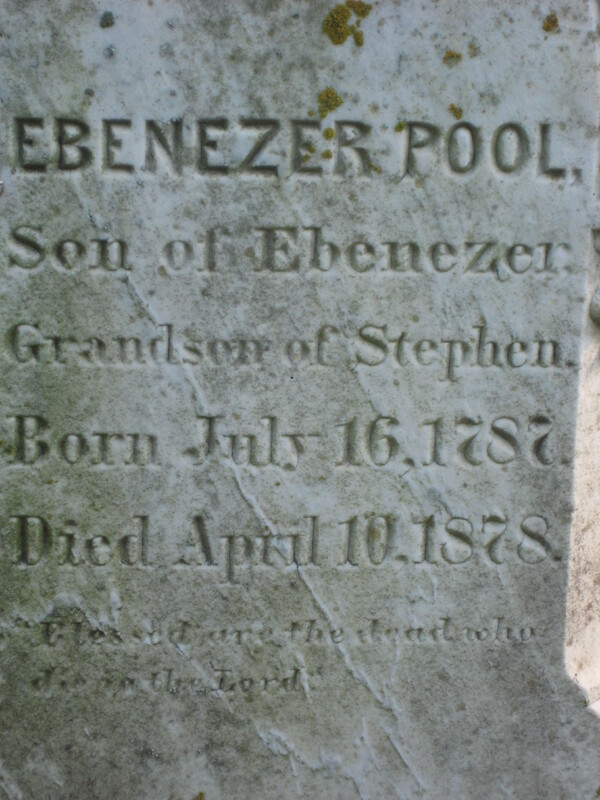 Another graveyard, if you don’t mind. After all, ’tis the season–the Halloween season. 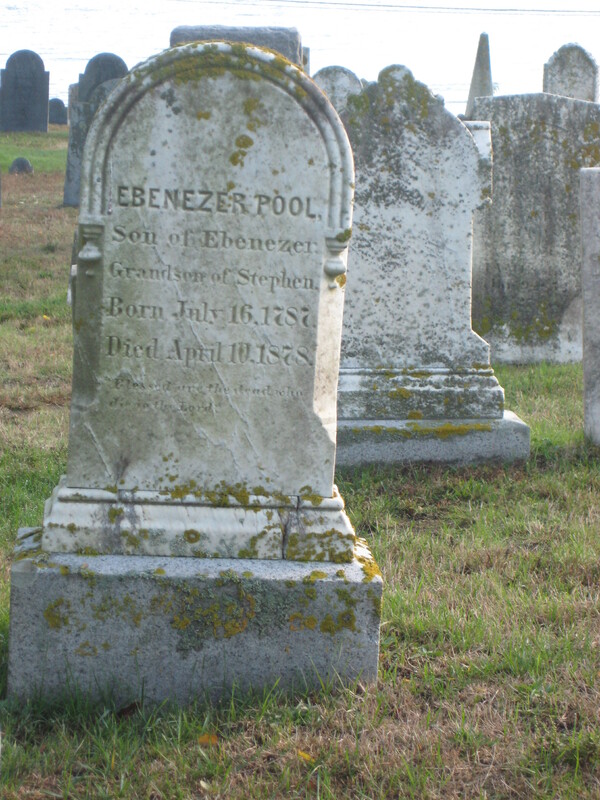 This one is the Old Burying Ground in Rockport, Massachusetts. I feel like I’m on a first-name basis with some of the folk resting here, because I made them into characters in my novel The Invasion of Sandy Bay. 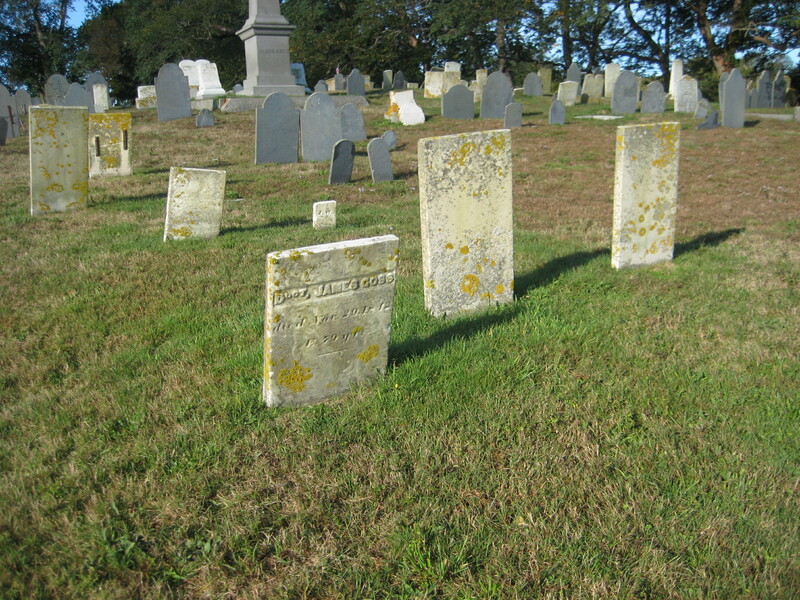 The burying ground is right near the sea. You could literally throw a rock into the water from here. The salt air is fresh and cold. It’s fresh air, all right, as testified by the presence of one of the world’s weirdest organisms—lichens. What are lichens anyway? They’re actually two distinct and unrelated organisms—a species of fungi and a species of algae—living together in a symbiotic relationship. The algae creates food where there is no food, using sun, water, and air to make the sugars that nourish the pair. The fungus would starve without the algae’s photosynthesis. But algae wouldn’t stand a chance on bare rock without the support and structure of the fungus. The fungal cells surround the algae completely—like an apple pie, so to speak, the crust being the fungus part, the fruit filling being the algae. Especially after a rain, you can see the green gleam of the plant trapped in the thin fungus crust. 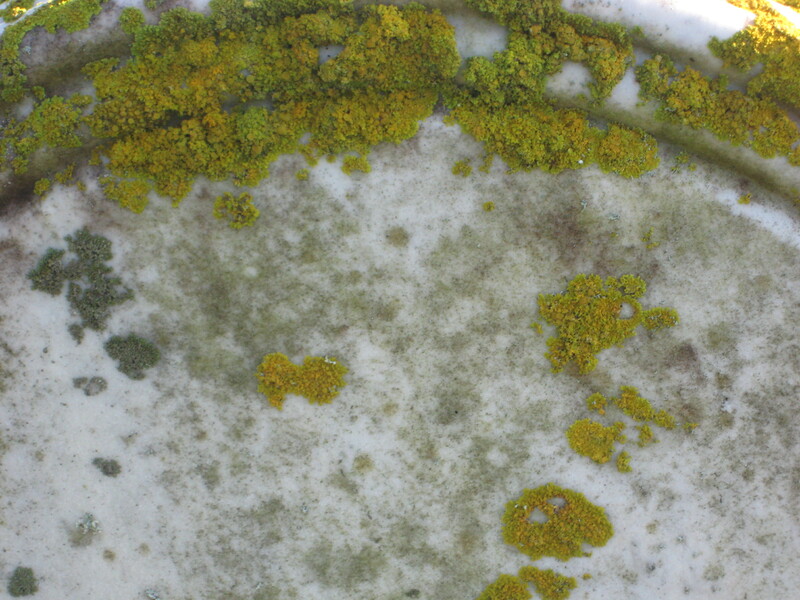 This interwined lifestyle gives lichens a tremendous advantage. They can live in the most inhospitable habitats you can imagine. There’s almost nowhere where lichens don’t grow—under the soil, on trees, on steeples, on the backs of slow-moving tortises. They’re green in the Sahara desert, and they’re the dominant species of vegetation in the Antarctic where they live between snow crystals. They grow on the stone heads at Easter Island. And they love tombstones. If you touch the leaf of an ordinary plant, you can feel a “skin”, a waxy coating called a cuticle. Lichens don’t have this protective covering. This is helpful when living on an arid environment like a tombstone. The lichen can absorb a passing drop of rain before it trickles away. But this makes lichens into living blotters that soak up everything they come in contact with. Unfortunately for lichens this includes pollutants in the air. Bad for them, good for us. Scientists have used lichens as handy, free biomonitors since the 19th century. 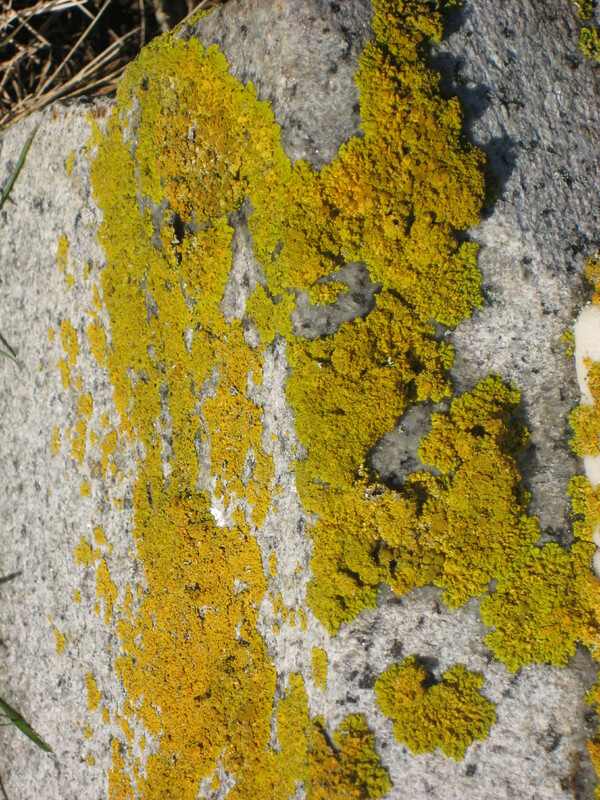 Lichens, you see, are the proverbial canary in the coal mine. Where pollutants like sulfur dioxide rise from cars and factories, lichens vanish. Like the dead canary, the absence of lichens is a cry of warning—nature’s subtle smoke alarm. 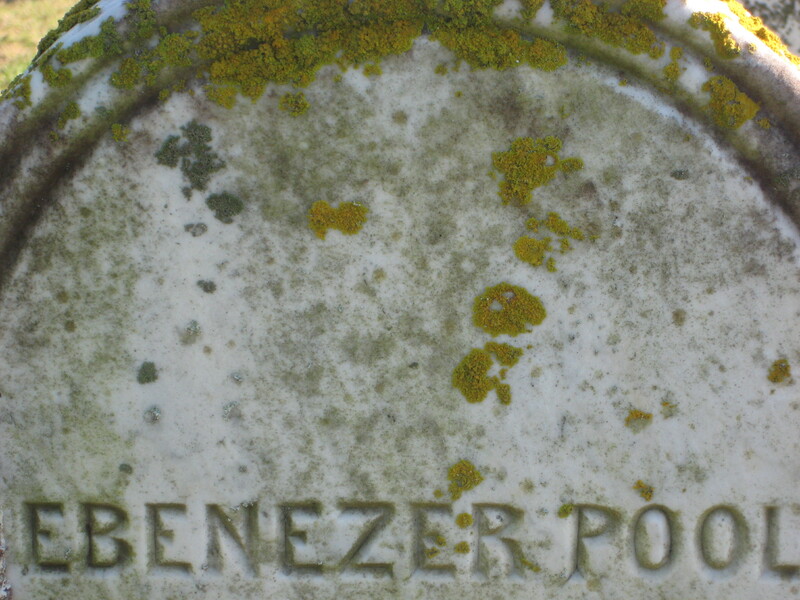 You’ll look in vain for lichens on roofs and tombstones in cities. But here next to the ocean the air is clear. The lichens tell us so.